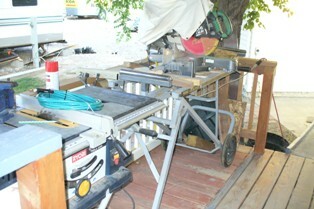 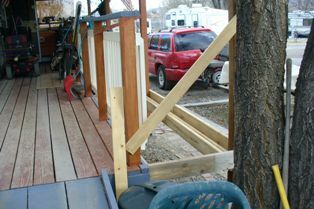 (This was 'Phase Two' of the "Reno's Garage Lift' that is featured on every page's background photo (above), and is detailed on the home page. 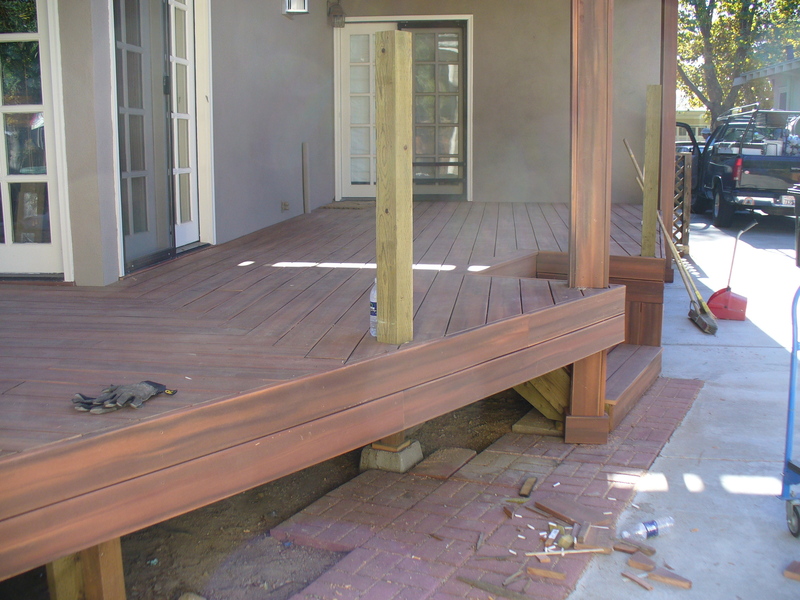 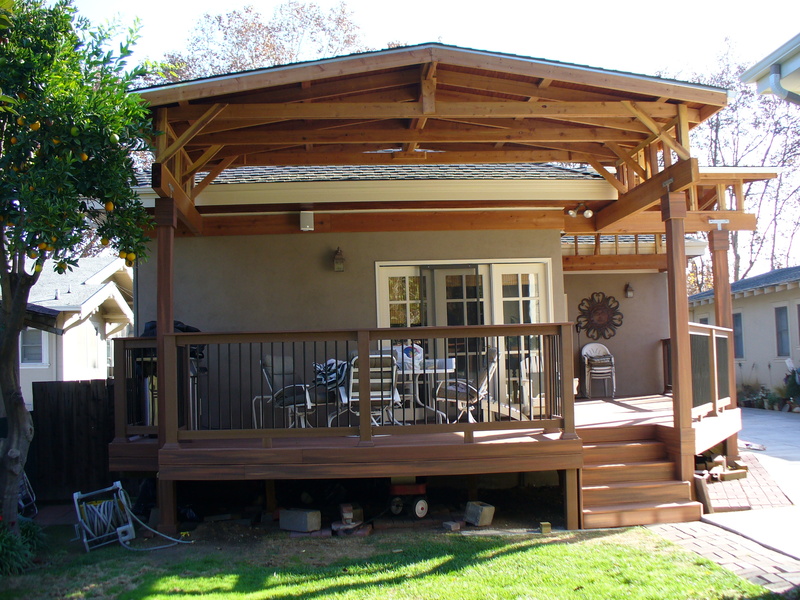 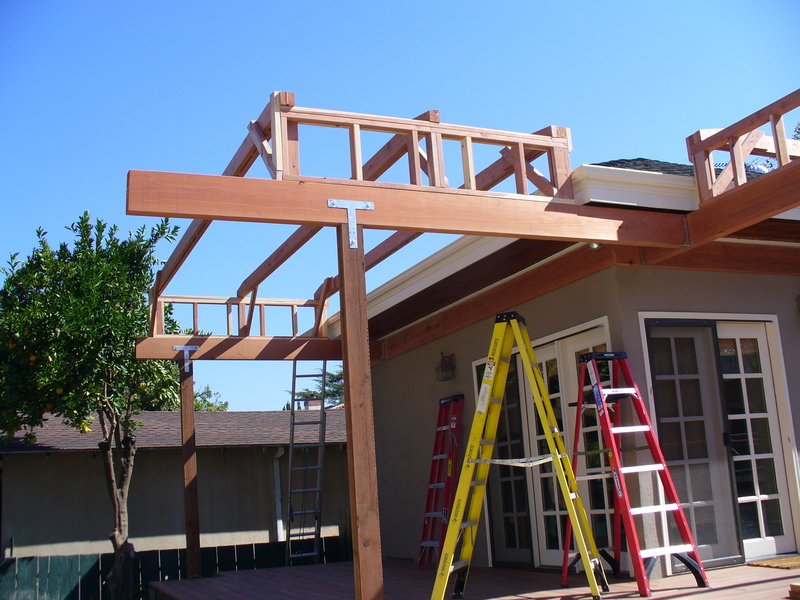 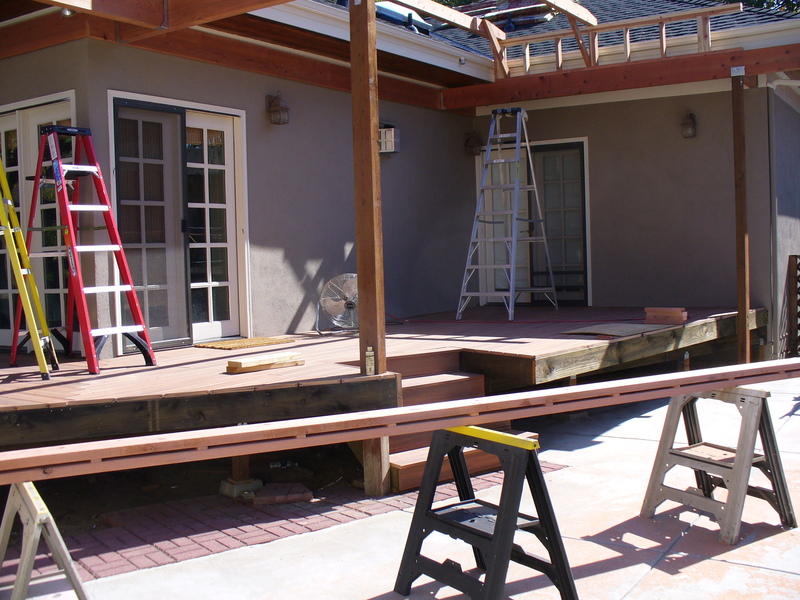 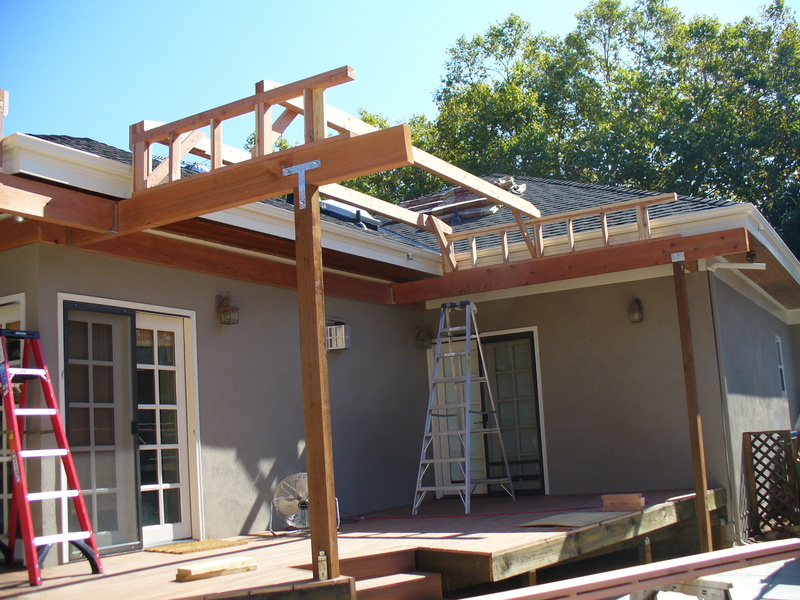 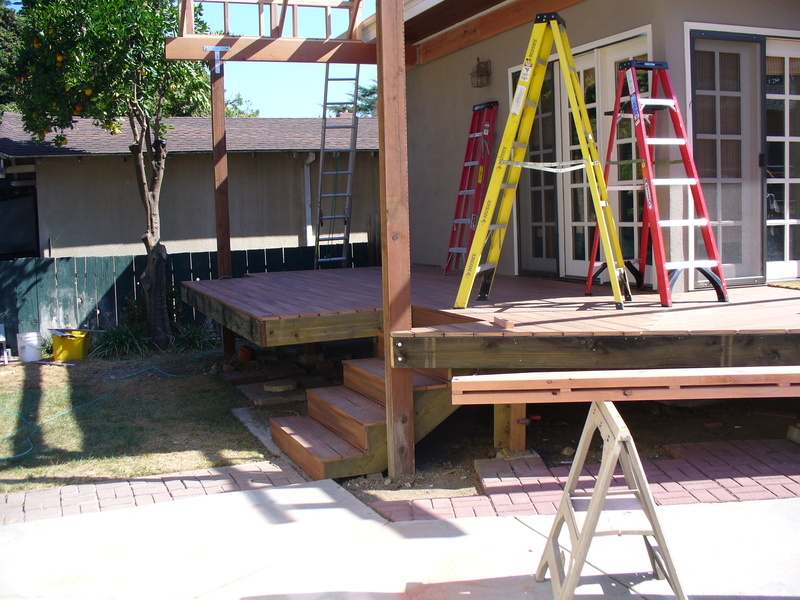 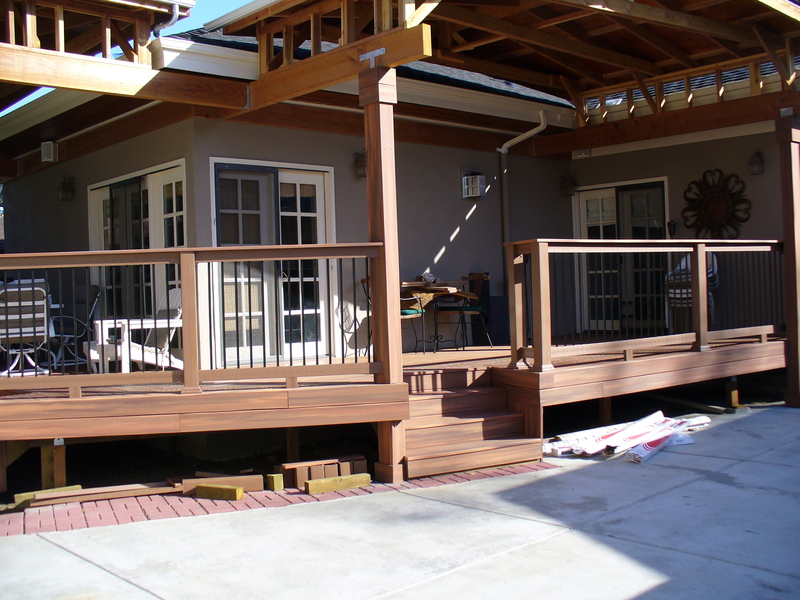 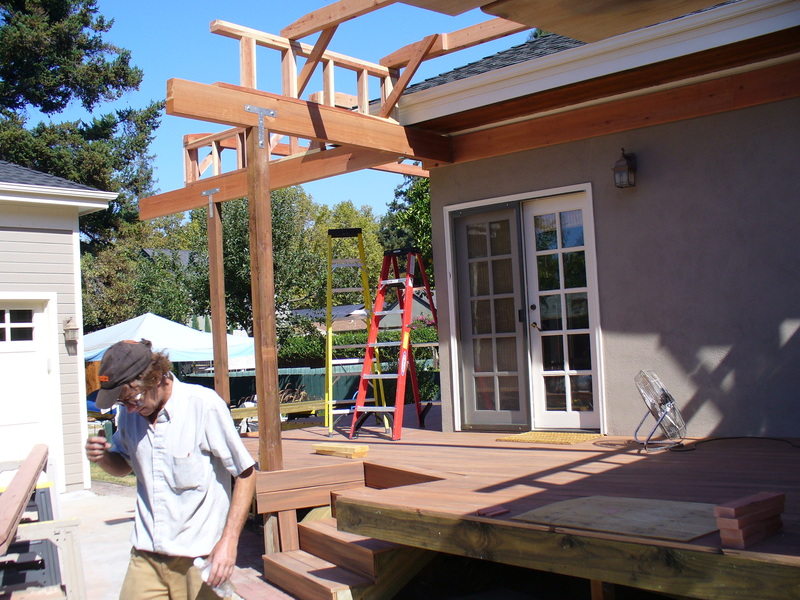 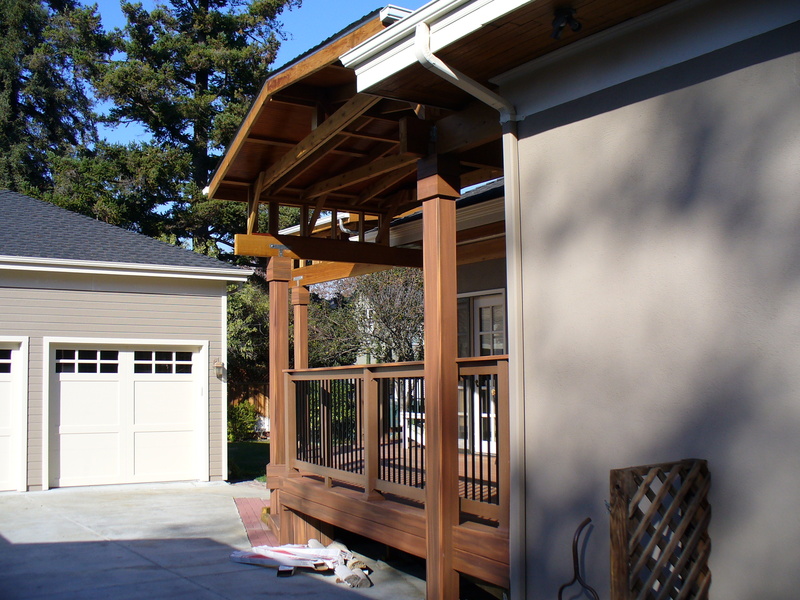 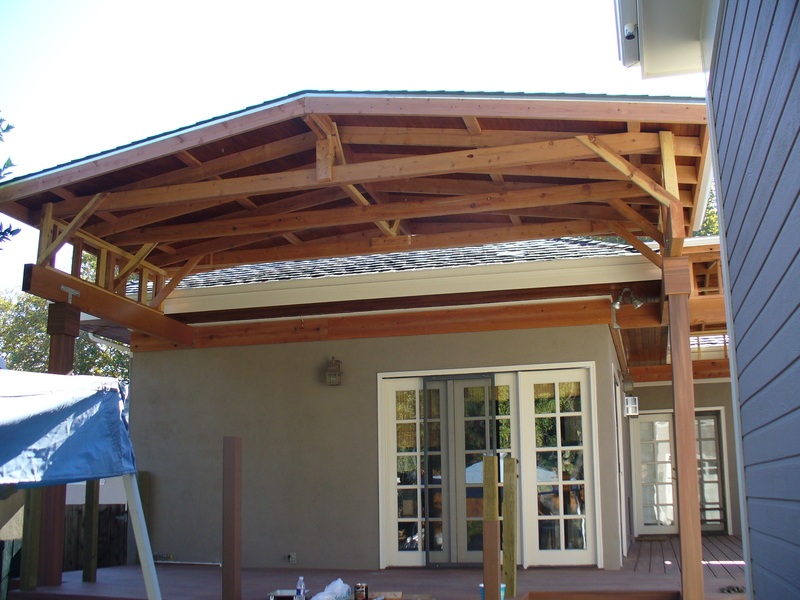 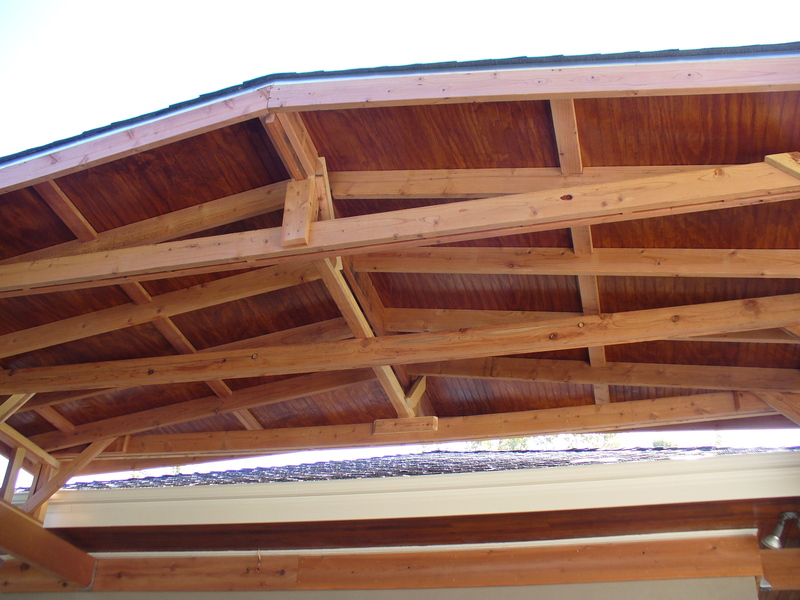 This comprehensive composite deck that wrapped the side and rear of the home, included double stairs, handrails, overhead framing with a finished hardwood ceiling over which was conventional roofing. 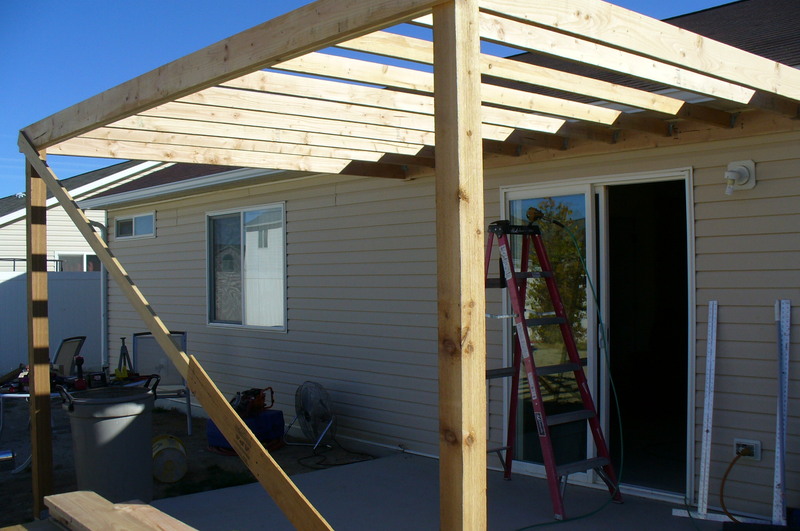 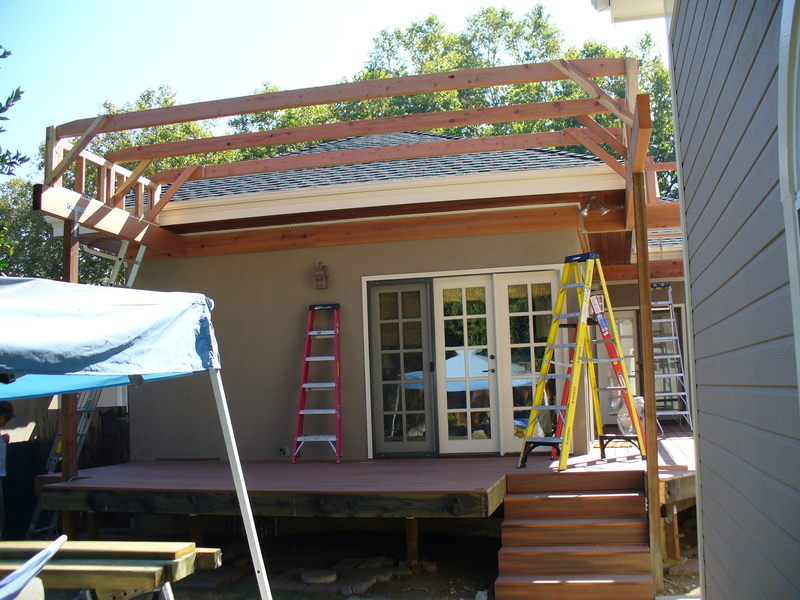 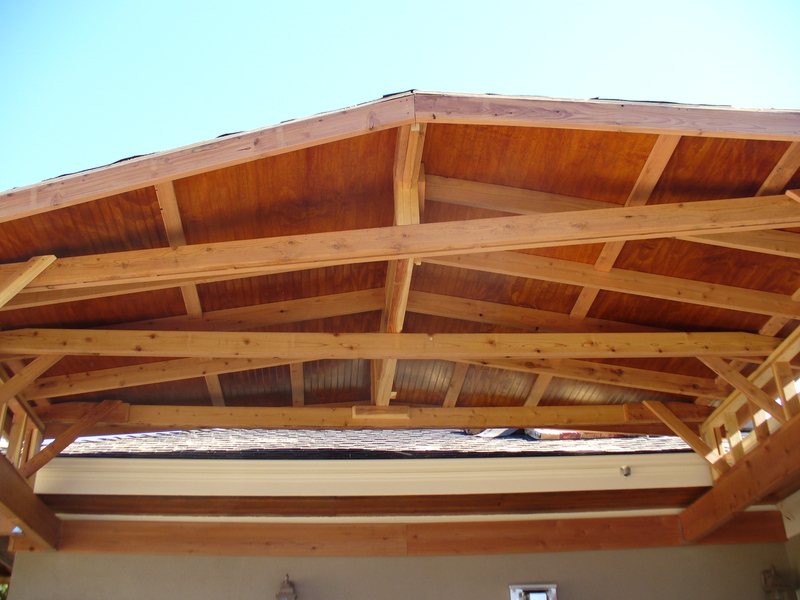 This was a simple two foot by eight foot deck extension w/post & beam tie in for an overhead awning that was framed for and tied in to match the existing overhead corrugated aluminum sheeting construction. 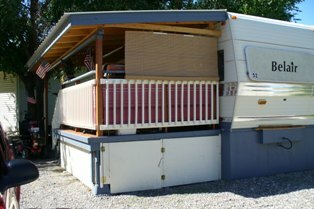 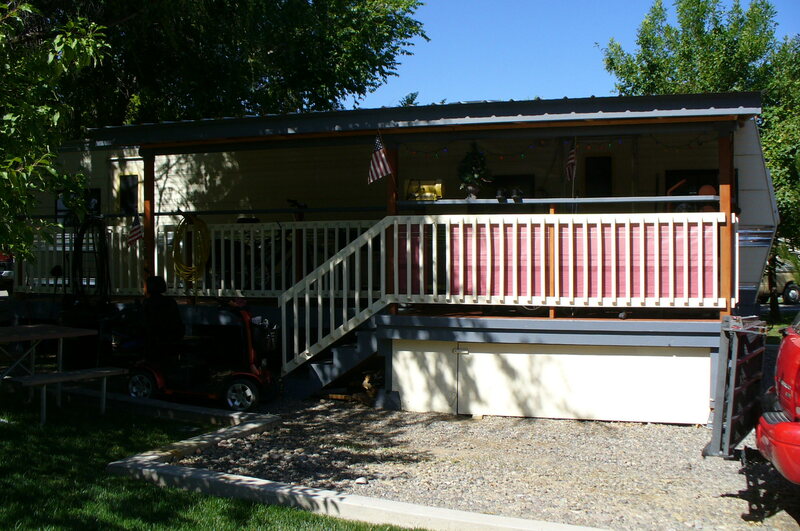 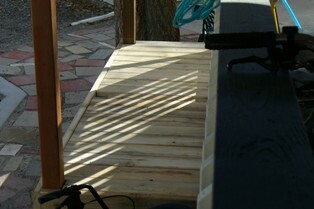 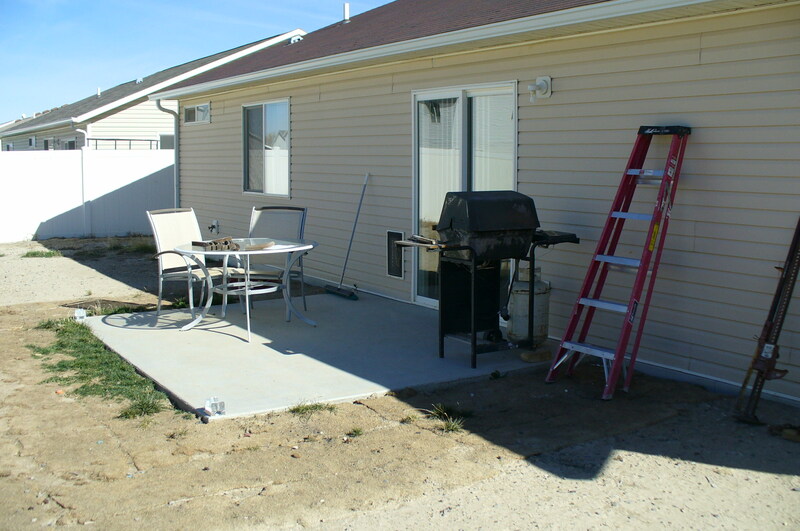 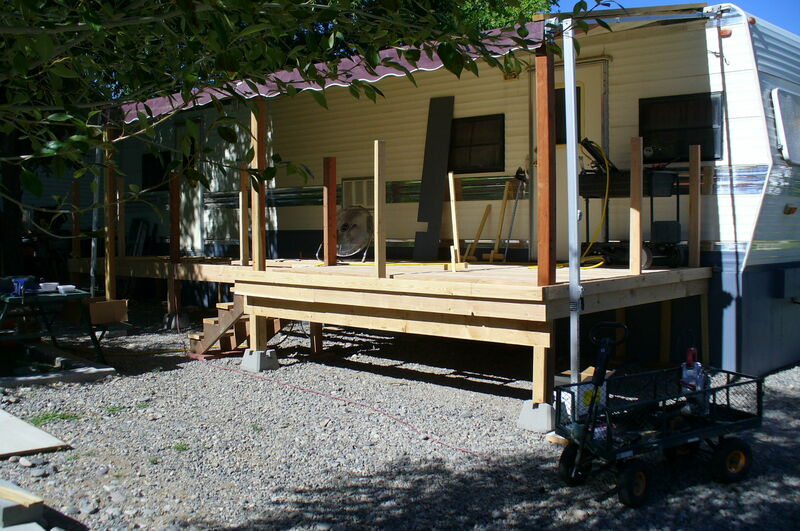 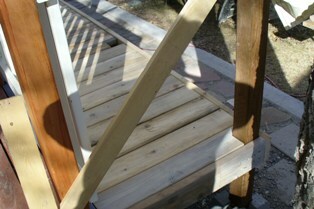 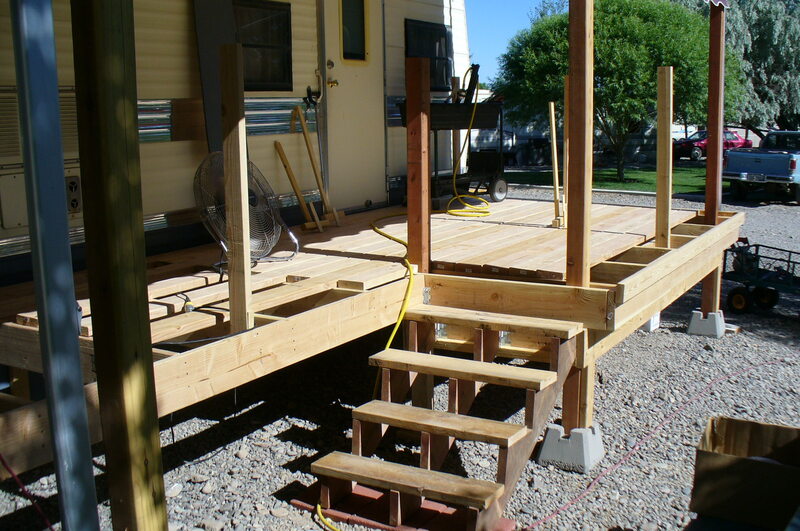 This deck was designed for handicap access to the front and rear door elevations by power mobility devices, tieing in with a ramp landing on a (conveniently pre-existing) slab at the rear of the unit/deck, and being as spacious as possible for on-deck storing of the chairs out of the weather. 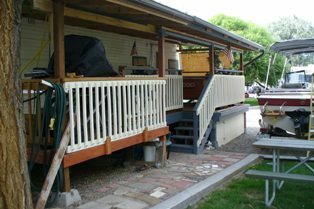 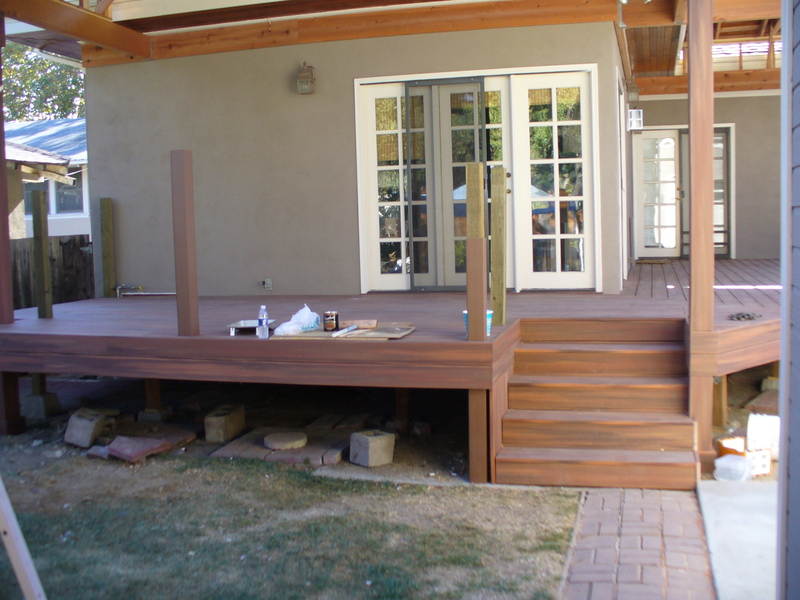 Ultimately, stairs and railing, along with post and beam bearing corrugated roof sheeting provided the last phase of the construction proper, and then paint and stain dialed in the color scheme. 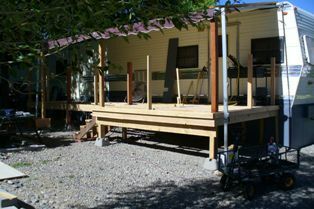 The under deck space also was planned for storage, and hinged plywood doors were added for appearance as well as security. 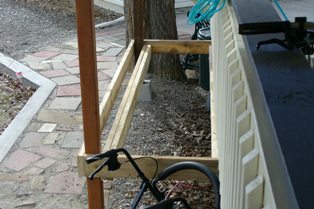 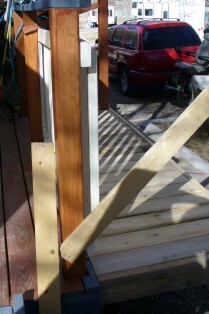 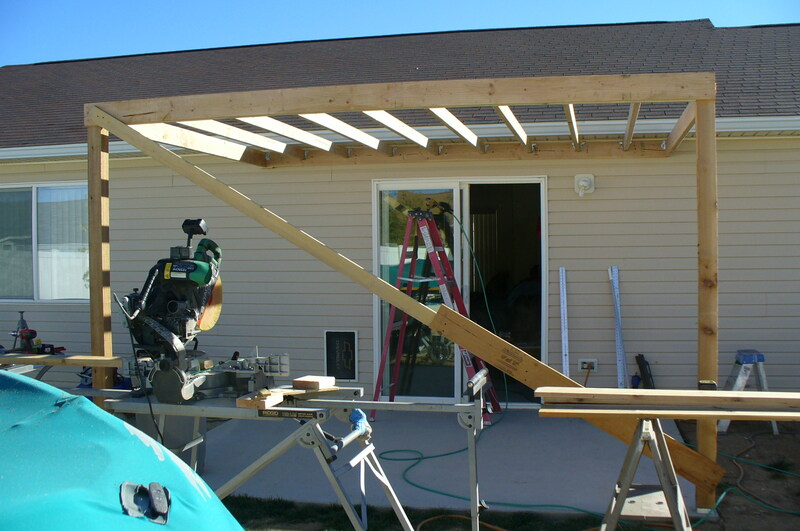 A ledger was attached through the siding to the existing in-wall header for the slider, and typical post & beam framing ensued. 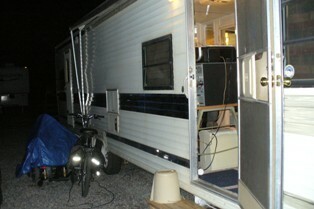 An existing switched exterior light provided a source to pull off of for a light run to the center of the expanse. 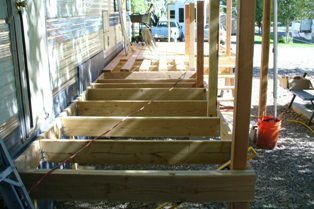 Rim-joists extended below the typical rafters, so to sheet the expanse butting into the under hang of the rim-joisting/facea.